Hi everyone! 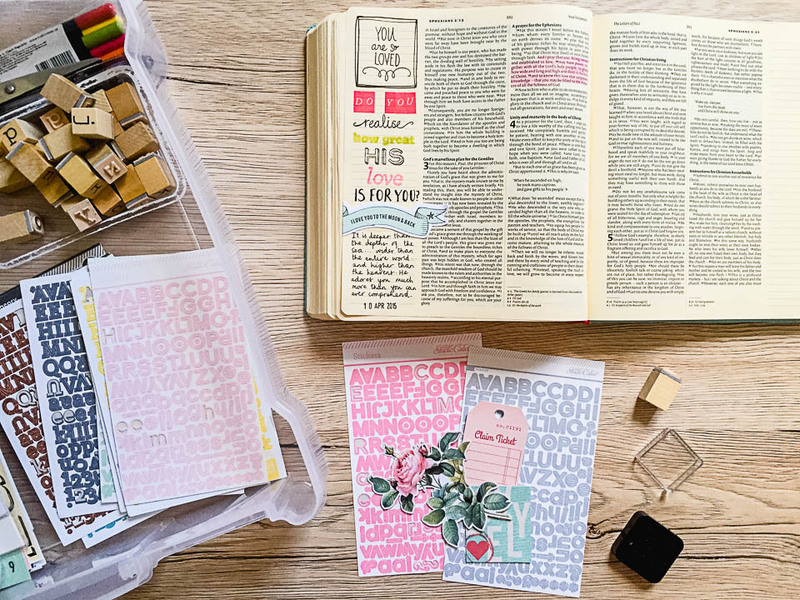 I just wanted to share a little bit with you today about how I am currently storing my bible journaling supplies. One thing that’s really important to me is that everything easily transported from one place to another. 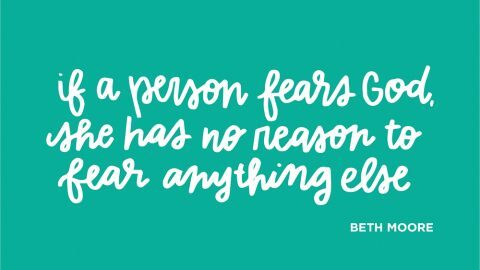 I don’t always want to sit at my desk to work in my bible…sometimes I like to do it on a tray sitting up in bed or even outside the house at prayer retreats and other places like that! It’s therefore crucial for me to have a storage solution that’s small and light enough for me to carry. 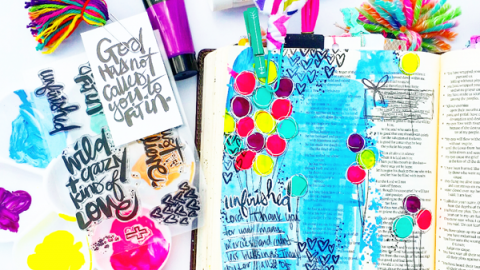 We can (and should) worship and pray anywhere and everywhere so why should journaling in our bibles be any different?! A few months ago, I picked up a 12×12 clear plastic storage box from a local art shop. I love the size because some of my alphabet sticker sheets are 12 inches tall so it’s perfect to hold those along with everything else! The box also has a handle which makes it super easy for me to carry from place to place. The other great thing is that when the lid is shut, it provides a sturdy surface on which I can work if there isn’t a table or other suitable place for me to work on where I am! 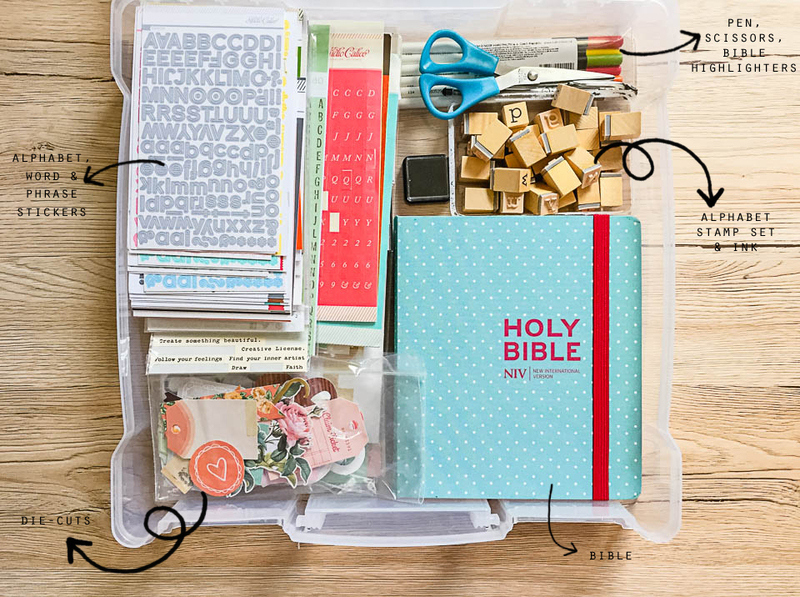 One day, I’d like to have an even smaller storage solution that I can use to take my bible and just a few crucial supplies with me in my handbag when it’s not practical to take my art box somewhere. 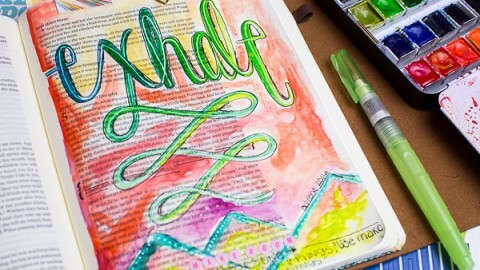 I have visions of me busting out my journaling bible and supplies in the middle of Starbucks on a Saturday afternoon! 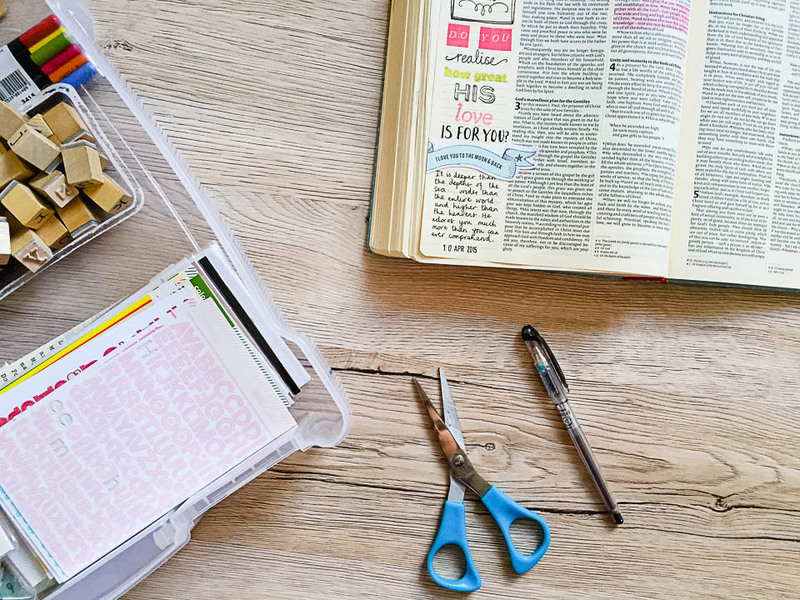 I hope you’ve found today’s post helpful and have given you some ideas about making your supplies portable so that you can worship God through your bible journaling ANYWHERE! YES!!!! I have some of those containers! I’m changing up my storage this weekend! What kind of ink do you use for your alphabet stamps? I really like this storage idea….got me thinking! such a good idea. 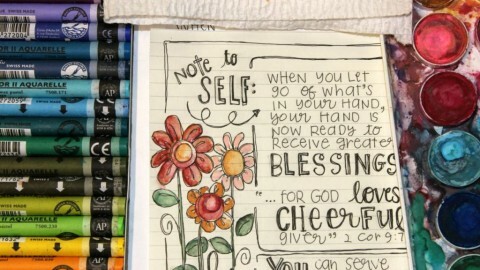 your journaling is lovely too! Thanks. Great ideas to include. Only other thing I might suggest would be a bunch of colored sticky notes. I’m always thinking of another topic/idea when I’m working on a page so I just write a word or two on the bottom of the little paper and add it upside down in my Bible. 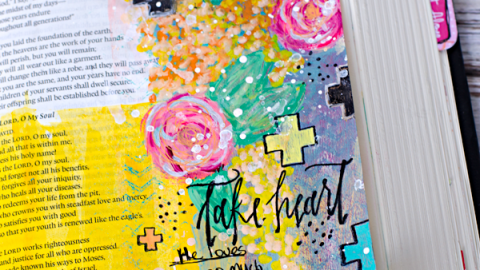 Right now I’ve got several ideas on different colors poking out of my Journaling Bible. 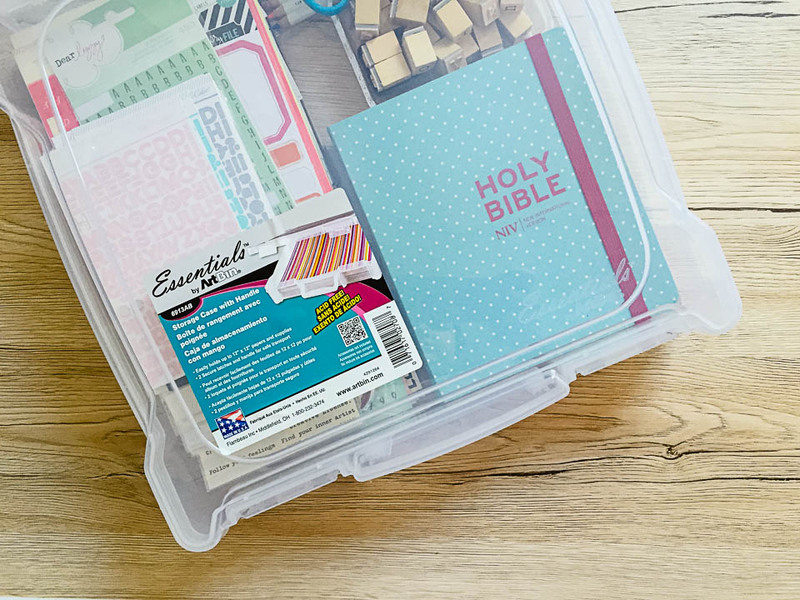 It is so nice to see how others store all their supplies. Thank you so much for sharing Stephanie. 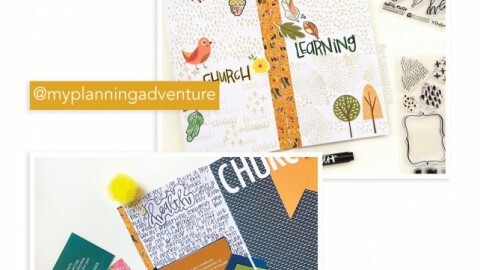 Wow, an NIV journaling Bible… I only see the one you have listed in the UK. Did you get it State-side? I love this idea!!! Thanks for sharing.Where did you get your bible from>? I’m getting ready for a Bahama cruise where ALL I plan to do is art. A friend of mine gave me one of those super expensive makeup cases a while back…the leather kind that has the staircase drawers that pull up on each side with a compartment in the bottom. 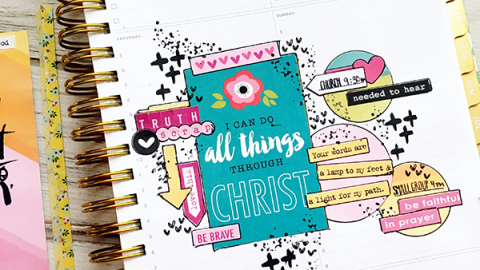 It’s all in there….acrylics, watercolors, pens, pencils, gelatos, gellies, mini canvases, journaling Bible, stickers, papers, qtips, etc. I’m using a 2-week plastic daily med holder for my paints…it’s perfect! I found a small glass jar with a lid at Target for $1 that fits in the bottom so I can always have something for rinsing brushes. I absolutely cannot wait!